Meet the winner of Sheraton Suites Tampa Westshore Wedding Giveaway! Hello everyone, Catherina Jepsen here with a big announcement! Who’s the lucky bride? Meet the winner of Sheraton Suites Tampa Westshore Wedding Giveaway! The brand new beautiful, multi-million dollar renovated Sheraton Suites Tampa Airport Westshore just keeps getting better! 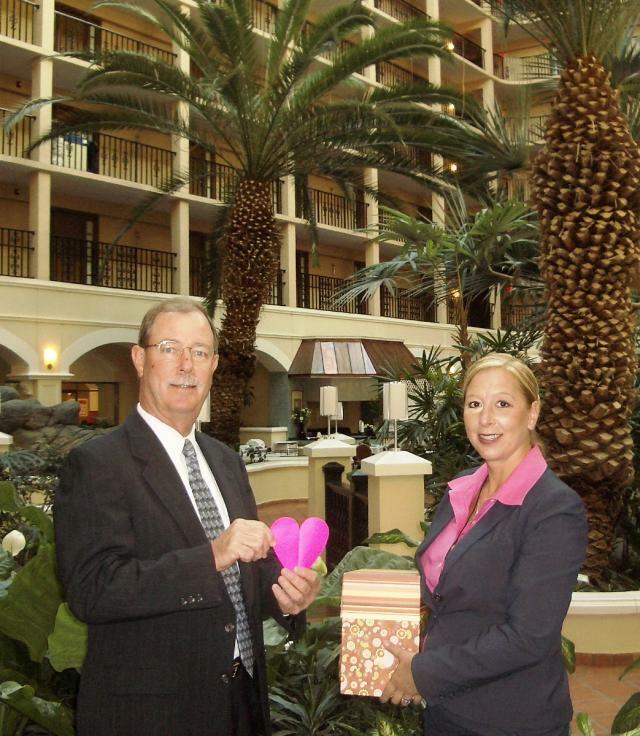 The hotel selected the lucky bride and groom for their wedding giveaway on Valentines Day. Both bride and groom are active military and stationed in two different states. I was so excited to have picked such a deserving and appreciative couple! On April 3, 2010, the big day will be shared with their loved ones at the beautiful Sheraton Suites Tampa, in the largest tropical atriums in the area. The beautiful hotel offers a fantasyland feel, which creates a sense of drama, intimacy and romance. The luxury ballroom will provide the perfect setting for their wedding ceremony and reception. Signing off now, but be sure to stay tuned in for more Sheraton Tampa Bay hotel updates! Congrats again to our winners!